In their new study on Pillar 3a, the economists from Credit Suisse demonstrate how assets in Pillar 3a can develop. Deciding factors not only include the interest or return level, but above all, how long and how regularly deposits are made. CHF 8,724 and the final net worth is CHF 245,604. An extended low-interest phase significantly reduces wealth accumulation. With the interest level rising again and an average interest rate of 1%, interest income would increase to almost CHF 48,000. At 4%, a final net worth more than twice as much comes together as with an interest rate/return of just 0.2%. It is possible to raise the yield opportunities by using securities solutions. These historically have tended to bring better returns than interest accounts. 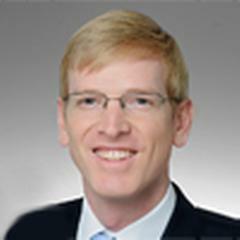 But they do involve greater risks and fees. On the other hand, temporary fluctuations in value can often be dealt with in view of the long investment time horizon. For account holders who are more willing to take a risk and have a long investment time horizon, products with a high equity component are worth considering as they make it possible to achieve potentially higher returns. Here, it makes sense to consult with an expert. Not all households pay annually into their private retirement provision. In contrast to the second pillar, missed deposits into Pillar 3a cannot be compensated later. The following scenario shows wealth accumulation with regular deposits of the current maximum amount of CHF 6,768 compared to a person who makes no deposits for a period of seven years. Based on a mixed 3a model with an interest account and securities solution, an average interest rate/yield of 2% or 3% is assumed. In Scenario A with 3% average interest, the accumulated interest income given constant deposits (A1) is almost CHF 52,000 higher than in the event of a seven-year deposit break (A2). 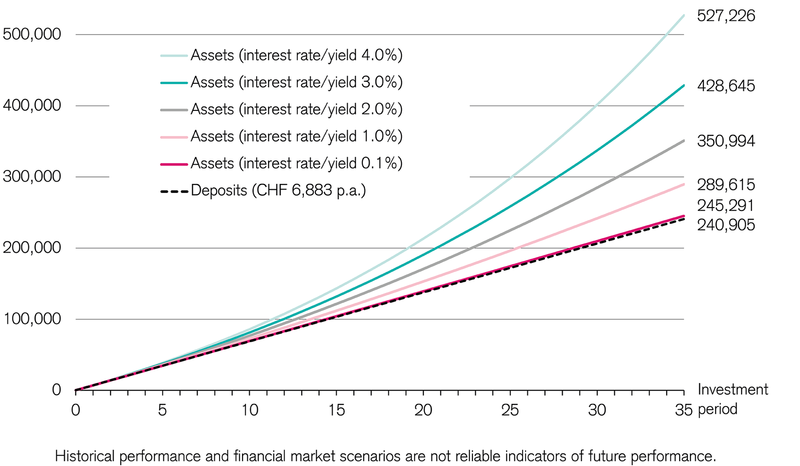 In Scenario B with 2% annual yield, the interest loss was still around CHF 30,000. CHF 6,768 in the event of a seven-year deposit break; average interest rate/yield of 2%/3% p.a. The older they get, the Swiss tend to pay into Pillar 3a more frequently. However, for wealth accumulation, it would make more sense to start with retirement savings at as young an age as possible because anyone who saves over a relatively long period of time will achieve a higher final net worth with the same interest rate. In the following scenario, an annual deposit of approx. CHF 4,800 over a period of 35 years results in a higher final net worth than if the maximum amount of CHF 6,768 is deposited annually over a period of 25 years. 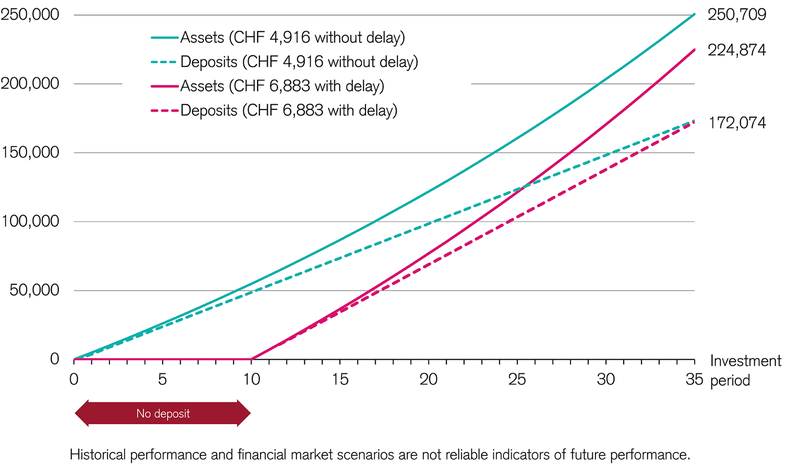 Although the total deposits are identical, the "early bird" achieves assets that are CHF 25,000 higher in the end than if the savings had started ten years later. It is therefore advisable to start saving for retirement at an early age – even if it is not possible to pay in the maximum amount. 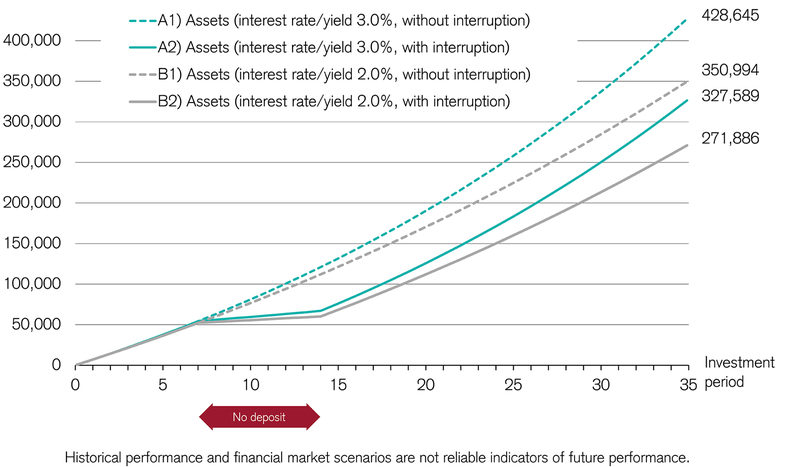 Asset performance with regular deposits (at the beginning of the year in each case) of CHF 4,834 and with the current maximum amount but with a ten-year delay; average interest rate/yield of 2% p.a. "Private Retirement Provision: 3a Saving in Switzerland"
Calculate your scenario: How much wealth can you accumulate with Pillar 3a? Read the article "Over a Third of the Swiss Working Population Have No Pillar 3a"